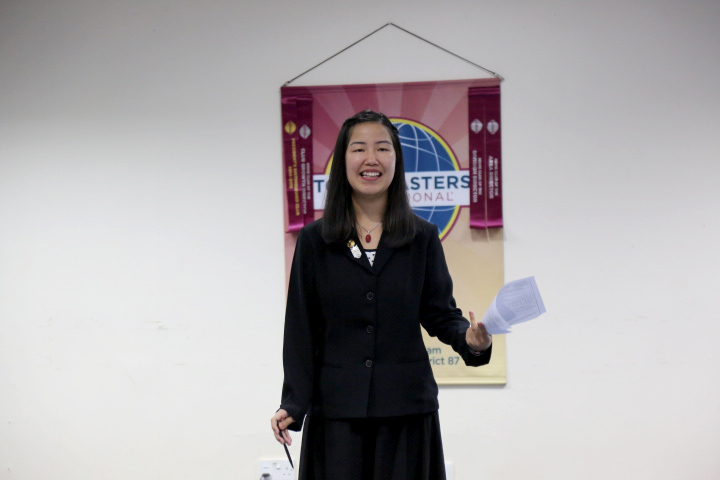 Greetings Toastmasters, friends, and our loyal readers! 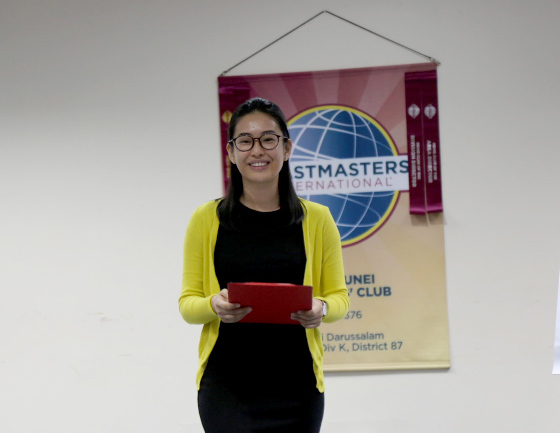 Despite the heavy rain, our Toastmaster of the Evening, TM Lam Vui Ting, hosted the meeting with full confidence and complete preparation. She also gave us something to ponder upon, “You may not know what is going to happen when you try; but if you do not try, nothing will happen. Keep trying!” It is great to have you back, Ting Ting, and thank you for hosting a joyful meeting. Reuben Chin, ACS, ALB, took up the role as our Timer of the evening and provided us the tip, “To avoid brazen disregard to time, respect the [timing] traffic lights.” Thank you, Reuben, for helping us to keep track of our time. The Word of the Day, “brazen”, means behaving as if you are not ashamed or embarrassed about something even though you should be. Thank you, TM Dalton Lim, for adding a new word to our vocabulary. TM Rahul Breh attempted his Competent Communication Project No. 7, “Research Your Topic”, with the title, “When Will Machines Overtake Humans?” With the help of flip charts, illustrations, and statistics, Rahul managed to convince most of the audience that machines will overtake humans in the year of 2045. Since technology is developing at an exponential rate, machines will have an IQ of 15,000 and will be able to create its own cars by 2045. Could this be something we should worry about? Thank you, Rahul, for presenting such a thought-provoking topic. “Do Not Believe in What You See”. Through his Competent Communication Project No. 9, “Persuade with Power”, TM Jack Chin wanted to raise our awareness on the credibility of news being shared in social media. His speech aimed to persuade us to always look for the source of the news and its originality before believing and spreading it to others. Congratulations, Jack, for successfully delivering your speech and getting closer to your CC title. 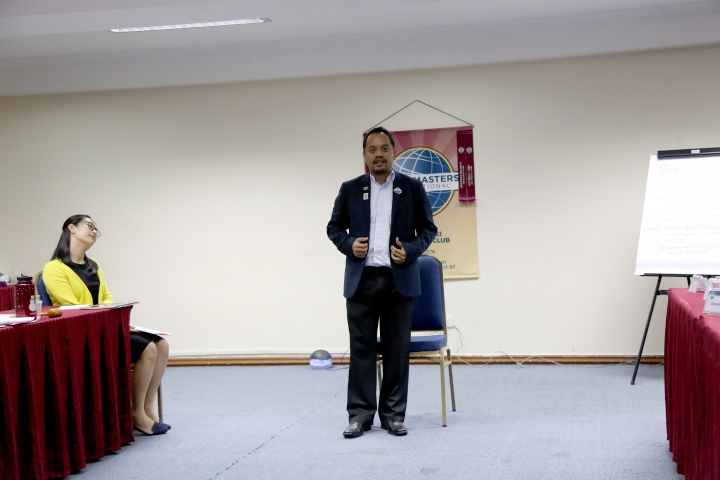 TM Rano Iskandar also attempted the same project, “Persuade with Power”, informing us about a “Silent Killer” that most of us were not aware of – the chair. Prolonged hours of sitting can lead to various health problems such as high blood pressure, cardiovascular disease, cancer, and etc. Using emotional appeal, “Life’s too short to sit miserably”, Rano managed to convince us to sit less and stand more. Well done, Rano! One more project away from your CC title. 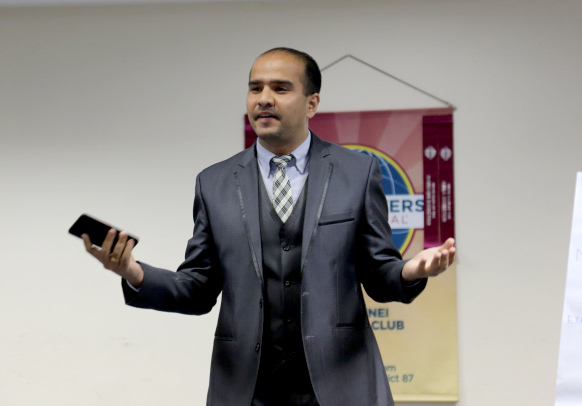 Table Topics Master, TM A. Faiz Zailani, led the Table Topics session with interesting topics about dreams and fear. “Would you like to be a champion of your hobby?” TM Aziman Nasir said that he would want to be the fastest comic reader. 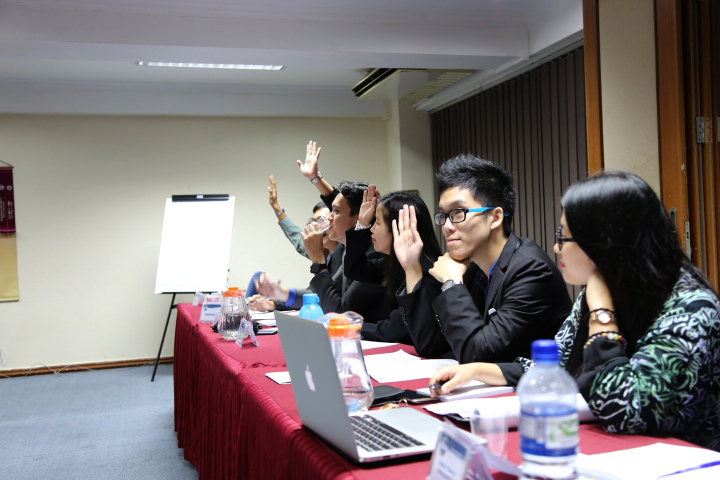 Other than that, he also challenged us to beat him in his other hobby – online shopping. He claimed that he has bought the most items online and paid the most visits to the post office. “Describe the world you want your grandchildren to live in.” Influenced by Rahul’s speech earlier, Jason Koo, CC, ALB, was intimidated by the world of machines. He wants his grandchildren to have their own voices instead of being instructed by machines. In addition to that, he wants them to spend more time doing outdoor activities instead of falling to the trap of laziness due to automation. When it comes to spiders and snakes, which one is more frightening? Our guest, Jeerah, was afraid of both. 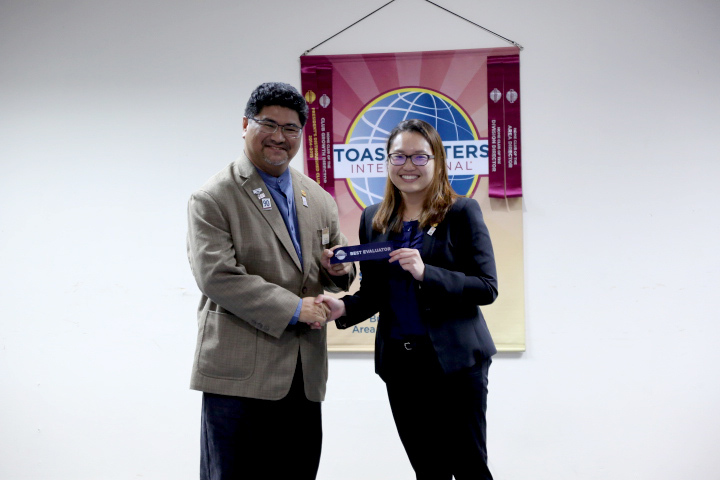 Congratulations, Jeerah, for taking the courage to attempt your first table topics. Be assured that most of us share your fear for spiders and snakes, and also public speaking. “What is the one thing that you are most afraid to lose?” Without hesitation, TM Jidun Dollah answered mobile phones. The experience of not being able to call for help when his car tyre went flat made Jidun realize that his mobile phone is something that he cannot live without. Describe the house that you want to live in. Our guest, Futoshi, said that he misses his home back in Japan and he painted Japan’s four seasons in our mind with his speech – snow in winter, cherry blossoms in spring, beach during summer and falling leaves in autumn. 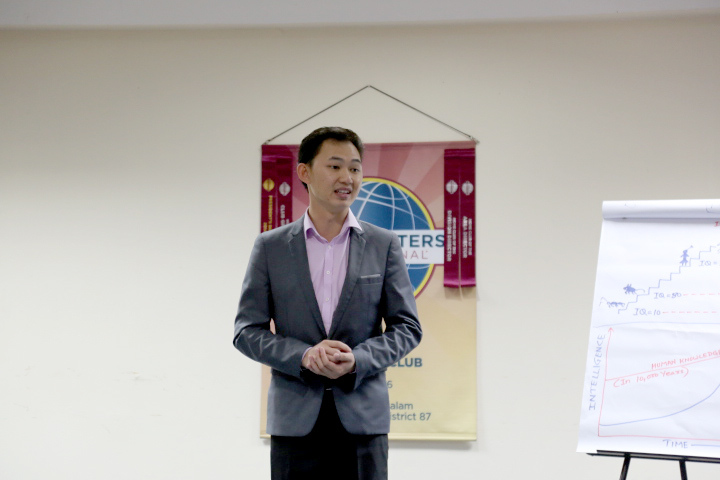 “What are you most afraid of now?” TM Deno Goh was afraid of coming to Toastmasters since he had been absent for two months. Other than that, he was also afraid of losing his hair as he ages. 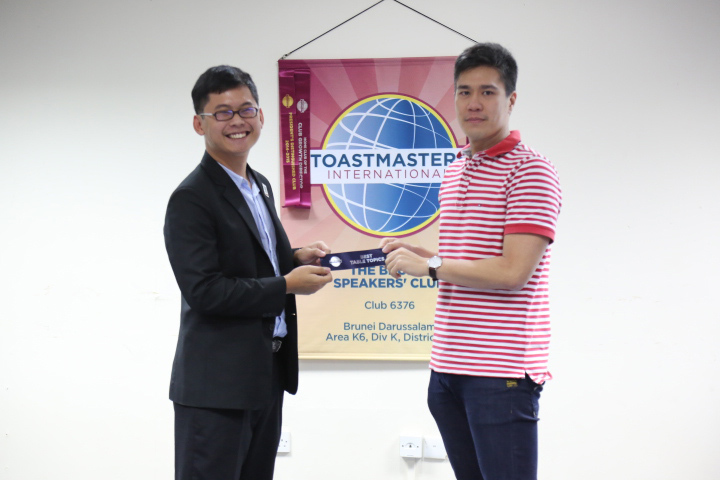 Congratulations, Deno, for winning the ‘Best Table Topics Speaker’ title with a humorous Table Topics answer. Keep up the good work. 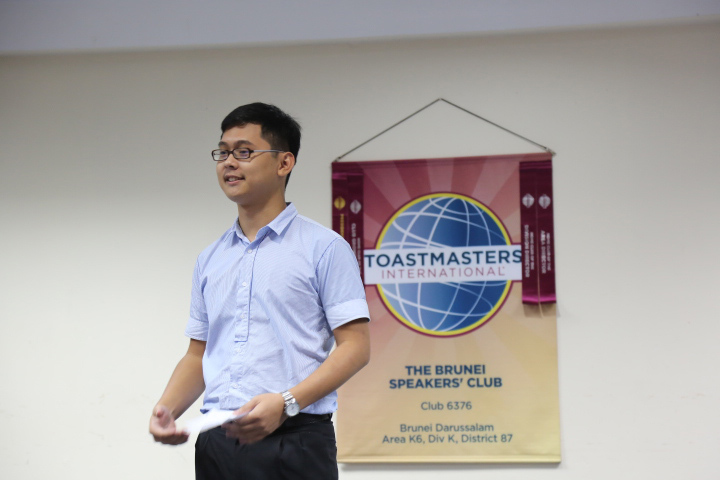 The best evaluator of the night was won by Shawn Narcis, DTM (Rano’s CC9 evaluator). Congratulations and thank you Papa Shawn for always giving your best to help members grow and learn. 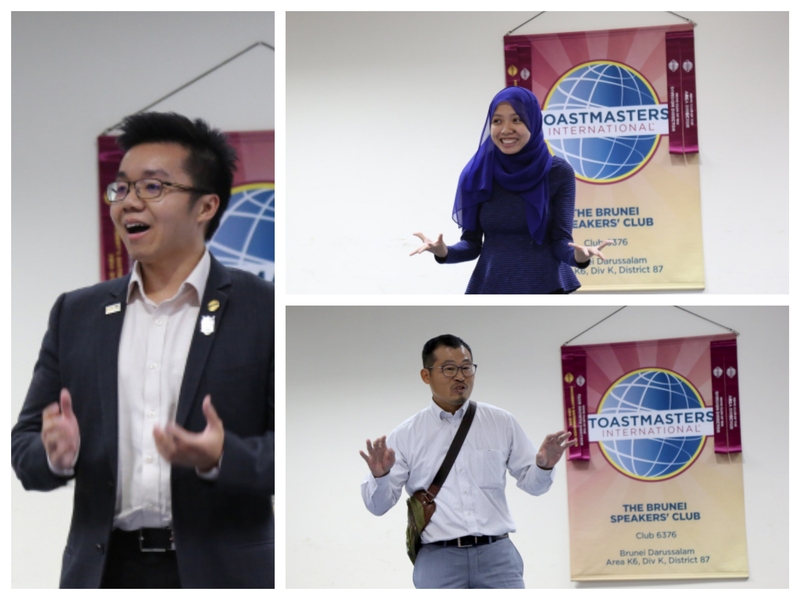 A special thank you to other role players who made the meeting a successful one: Nina Kifrawi, CC, ALB (Table Topics Evaluator), TM Gerald Goh (Ah Counter and ‘Who Said What?’), Allen Ang, ACS, ALB (Rahul’s CC7 Evaluator), Chang Seng Yee, CC (Jack’s CC9 evaluator), and Pranika Lama, CC, ALB (General Evaluator). Persuade yourself to try, and at the same time, use what you have learnt to persuade others to take the courage to try. Thank you all for a wonderful meeting.